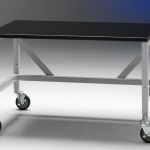 Mobile Equipment Table may be used to transport heavy equipment and to provide auxiliary bench space. 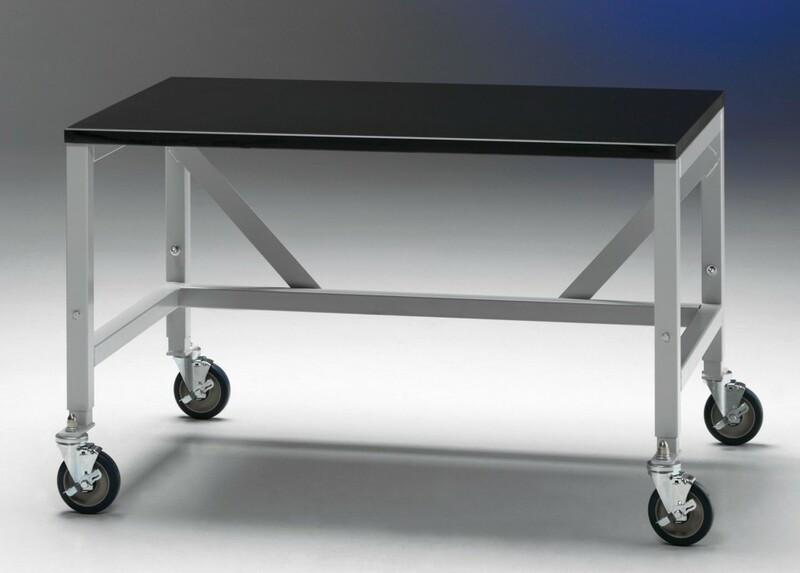 Mobile Equipment Table may be used to transport heavy equipment and to provide auxiliary bench space. 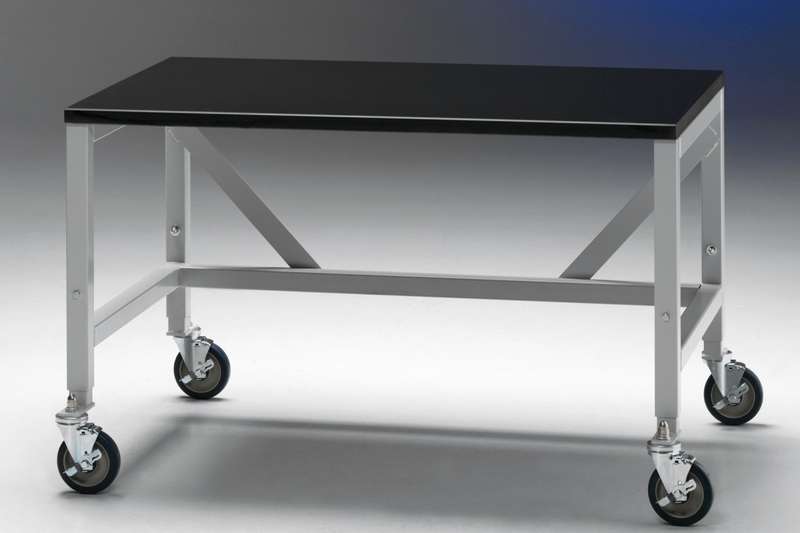 With height adjustments from 28.75" to 35.75", it may be raised to the same height as most laboratory countertops. 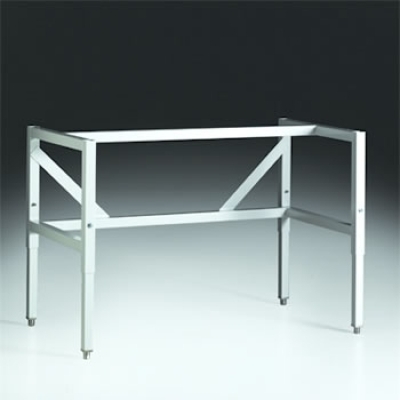 Solid epoxy 1.25" thick x 30" deep work surface and epoxy-coated 1.75" square tubular steel frame. 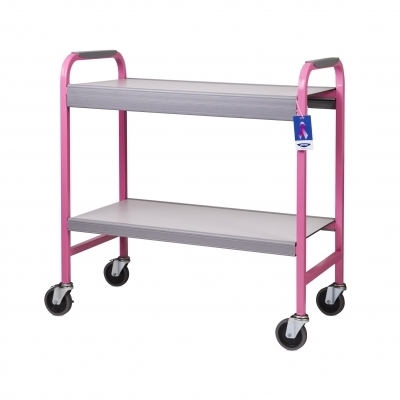 5" diameter non-marking polyurethane casters with toe locks have bearings for quiet operation. Supports loads up to 800 pounds. Some assembly required.